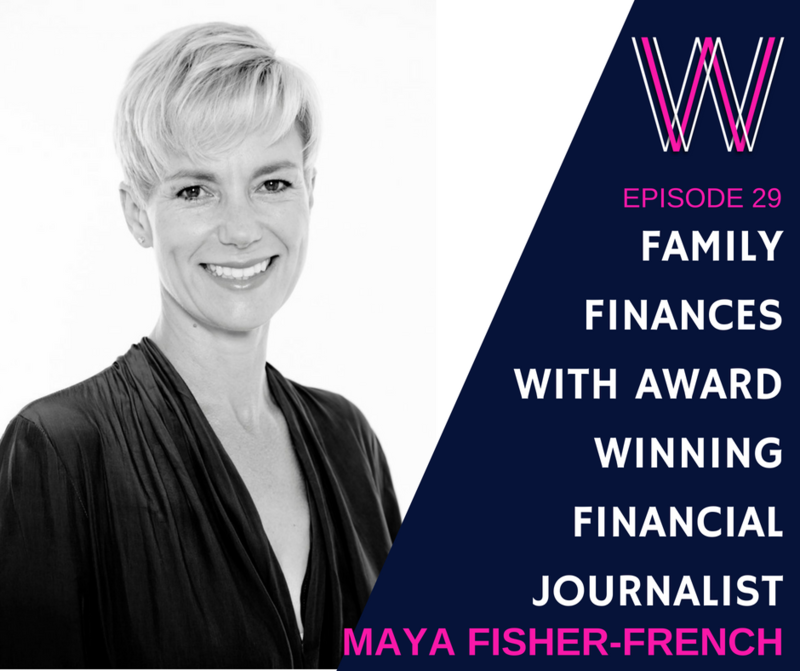 Award winning personal finance journalist, Maya Fisher-French talks to Lisa Linfield about her own personal finance journey, family finances and the challenges to raise financially wise children. Learning from her own experiences and that with teenage children, we discuss the transition from school through university and to first jobbers and how to guide people through the financial journey. Post-university children – should they stay home longer? Announcer: 00:00 Welcome to Working Women’s Wealth, where we discuss what it takes to build wealth in a way normal humans can understand. Here’s your host, Lisa Linfield. Lisa Linfield: 00:21 Hello everybody, and welcome to this week’s episode of Working Women’s Wealth. Today, I’m joined by Maya Fisher French, who’s an award-winning financial journalist and author. Thank you so much for coming on our show today. Maya: 00:34 Well, thank you Lisa for having me. Lisa Linfield: 00:36 You focus on personal finance. Did you always, when you were little, think, “I want to do this.” How did you get into it? Maya: 00:44 You know what? In fact, so not at all that when I was at university, I did an aptitude test. And journalism came up as the number one … you know, they said, “This is what you should be doing.” All I could think of was that front page of the Star newspaper. And I said, ” Gosh, no, I will never go into journalism.” So yeah,not on my radar at all. And in fact, growing up, I think the first I wanted to be was the president of the country. But then when I got a little bit older, I wanted to be a lawyer. And my mother said I’d be a great lawyer, because I can argue until everybody else has just given up. So law was actually going to be my first option. And then I got some really, really good advice from a family friend who said to me, “Don’t just focus on law. Use your first three years at university to expand your mind. Go and do a general BA, and then do an extended LLB to get your law degree.” And suddenly, I was exposed to all of these different subjects that I’ve never been exposed to at school at all. And one of them included economics. You know, I read that blurb in the little pamphlet, and I said, “Oh, that sounds interesting.” And I started with economics, and I landed up getting my honors degree in it, and I absolutely loved it. This sort of opened up a different world for me. But I majored in English and Economics, which is a very, very strange combination, which kind of also meant that I could pretty much apply myself to quite a broad range of companies. I had two job offers. So the first was with an advertising agency, and the other one was with Invested Bank. So I could have gone into advertising. I could have gone into banking. Those were my choices at that age. And I had no idea about either of those industries, except that I sort of had this belief that advertising had a lot of drugs in it. I don’t know where I got that from, and I don’t know why I thought investment banking didn’t. But I landed up taking the invested bank job. And suddenly, the world of finance was opened to me and my career path was sort of laid in front of me. I worked in the financial industry. From there I went to work for a stockbroking firm. But whilst working for a stockbroking firm, there were two things that kind of niggled at me. The first was that, I kind of was in the dotcom bubble, and I was becoming very concerned about the greed in the industry. And I was concerned that, you know, especially by clients. People wanted to double their money, and it’s so similar to what we’re seeing around Bitcoin. And I became uneasy about it. It was something about my values system that wasn’t comfortable with it. And at the same time that these people were trying to double their money in a month, I was discovering that they had credit card debt, they didn’t medical cover, many of the people retired without enough money and I realized that people’s day to day finances were really a big mess and that’s not what they were talking about. They wanted to be at dinner parties talking about share trading and what they bought today and sold and how they’ve made money on these things but meanwhile their real finances were actually in a complete mess. That was one little thing that niggled with me and then you know, I fell pregnant and I decided I didn’t want to work the long hours that stockbroking demanded and I took some time off. Anyway, to cut a long story short, one day I was looking at an advert in the newspaper. And the advert was for a new newspaper that’s being launched in South Africa, Of This Day. And I don’t know how many people remember this day but I think it was even called One Day and then Once Upon a Time and all the rest but anyway, it lasted about a year but it was an amazing publication and I actually applied for a job there. Funny enough, as business writer. So the full circle of that aptitude test at university of going to journalism was now linked with my knowledge of finance and I actually entered financial journalism. And I really did feel that I found my calling and the journey has gone on from there. Lisa Linfield: 04:20 Isn’t it amazing? I often reflect on how much of our life is determined by their first job and how random the selection of those first jobs are. I mean, advertising would have taken you in a completely different path to you know, finance but yet, so many times it is “well the one’s got a lot of drugs and the other one doesn’t” or actually, it’s gonna pay my bills. I often say to young people, ironically your first job is probably more influential in your career path than what university degree you choose to do. Because you chose a degree that had both english and economics in majors and you had a career path in front of you of either advertising or journalism. You know, or economics. Maya: 05:05 Well I think that’s the amazing thing! Is that actually Lisa, I’ve always sort of thought that this was random where I landed at and I’m not so sure anymore. I mean if you just take a step back and you think, “I studied english and economics”. I mean you put those two together and you get financial journalism. Maya: 05:26 Different directions but ultimately if you listen to yourself and your values and who you are and what you want to be doing, you will eventually land at where you’re supposed to be. I realize that now reflecting back. I always used to think they were just random things but I’m not so sure anymore. I think, you know, what was it about the banking world that attracted me more than advertising? And who’s not to say that advertising would have led to me working more on the financial sector perhaps around branding. Maya: 05:51 Then so, I think you do land up eventually kind of where you’re supposed to be but it is – I do think it’s so hard to know when you’re young what the world looks like. And I do think you need to keep your mind open to what’s out there. And I think that you know, I do still get – parents get very upset with me because I sometimes get teenage kids coming to me saying you know, “what do you think I should be studying?” And I actually think there’s a lot to say for studying more broadly initially. Maya: 06:18 [inaudible 00:06:18] always wanted to do that but you know, how do you know? If I’ve gone and done a b-com for example I think I would be a very different person as I am today. Or even if I’d done law. So, I think sometimes you need a little bit of growing up time and exposure to more of what is out there really. And I supposed that’s the challenge isn’t it? Lisa Linfield: 06:35 Absolutely. And also for me, your own views you know? At school your views are very teacher and parent laid but at least at university it’s the first time you have the space and the ability to say, “well what do I like? What do I enjoy doing?” You know, try it out. Maya: 06:57 To give you an idea of my broad like interest but throughout all of that, economics and english were my two favorites. So, yeah I think there’s a lot to be said for world knowledge. Lisa Linfield: 07:08 So you’re out there as a financial journalist, you write for a very accessible publication, and you’re driving a conversation about money. It must be quite a frustrating conversation because for me, I think of it as being at a dinner party trying to drive a conversation with a whole bunch of people who just stare blindly back at you. Why don’t we ever talk about money? And it doesn’t seem to be something that is unique to South Africa, it seems to be globally that it’s just not the damn thing to chat about – really chat about money. As you mentioned, it’s absolutely fine to throw into a dinner conversation that you just doubled your money on Bitcoin or some share or some this but, you never actually also then admit that by the way, you can’t pay your day to day bills because your finances are in such bad shape. Why do people not talk about money? Maya: 08:26 I am a strong advocate and I can sometimes get quite emotionally about these topics so just a word of warning, don’t give me too many glasses of wine at a dinner party and then ask me those questions. Maya: 08:58 And it’s not scary money is too many people and I think that shows you how much we value or how much value we put on money in terms of self worth. As women, we all feel the way we look is very important and we go and spend our money on our hair and that but actually, the way we really feel about ourselves is sometimes our financial positioning in society. And you know, I think if you’re sturggling financially, if you’re not making ends meet, you don’t want to admit it. We spend a lot of time pretending to other people that we’re okay. And then the flip side of that is if you are financially successful, you feel embarrassed to say that because you don’t want people to look at you saying, “Oh, you’re a greedy capitalist.” Or ” Ooh, maybe I could borrow money from you.” To me it shows that money is really a key key value – the way we value ourselves and our self esteem and the way we feel about ourselves. And that is to me, very worrying and I think it’s concerning that people don’t A, take more responsibilty given it’s so important but also talk to the power of money in our economy. You know, Lisa I’m sure you’ve met some people who are really obnoxious and not really nice people. You know, other people give a lot of time and energy to because they have money and if they didn’t have money, those people probably wouldn’t have any friends because they’re not very nice people. Those are some of the issues that I have and I think we need to be more realistic about the place of money in our lives and yes, it’s important, and yes, it’s powerful but you know, just because I have a job that doesn’t pay as well as you, doesn’t necessarily make me less than. But also to – if you are struggling financially, let’s be more real. Let’s have that conversation. Because one of the big things that I do find is when we do have these conversations, so, I’m busy running a competition – well just finished it. It’s called Money Maker but I’m with City Press. And these were six people that had to reveal their financial situation to the world. And they were not in good financial situation. And what they found with all their colleagues and friends was that people came to them and said, “You’re also in the same situation.” And this opened up a conversation that they started to have with people that they would never have had before. So I think we do need to not be quite so afraid to have these conversations and to be a little more honest about what we put on Facebook. Lisa Linfield: 11:02 I completely agree. I have a wonderful friend who I respect and admire hugely and she’s a single mum and a teacher and I remember one time her expressing that in this particular moment, cause as we all know, cash flow comes and goes, in this particular moment, she wouldn’t be able to join us for a supper club from a financial perspective and so all of us said, “hey,instead of going to that restaurant let’s go to a different restaurant” and it was just such a bonding, hugely important change in dynamic where we tackled a problem together and it created a much deeper relationship between all of the girls. And it was right in the beginning of the formation of the supper club and I do just believe if we were much more real about it, we could develop more solutions together, we could approach problems differently. And it’s like anything in life, once you show your vulnerability in an area, it’s amazing who steps out the woodwork that you would never have thought was in the exact same position as you. Maya: 12:01 Exactly! And it becomes a time for that conversation. In fact, it’s so funny you say that, because we also have a supper club and I actually – they were choosing the next place and I said, “just somewhere more affordable.” And they also agreed. And it’s okay sometimes to say listen, this month’s tight and we’re watching out bill. Maya: 12:16 Why do we feel that we can’t say that some months are good and some months are bad? It is a funny thing that we have with this money where we feel that somehow we’re letting ourselves and other people down financially. Lisa Linfield: 12:25 Absolutely! And ironically, my experience with my different supper clubs, is that actually it is a better evening if you’re not worrying in the back of the mind that you’re breaking the bank in the process. Maya: 12:38 Exactly. And you know that feeling that, “Oh goodness, are we splitting this bill and they’re ordering [inaudible 00:12:42] you know? Lisa Linfield: 12:43 Yeah (laughs) I hate that one. So, is this part of you? Did you grow up having conversations around the dinner table about money or was it something that you happened to be a passionate advocate in your own steam? Maya: 12:58 So, no. Money in our family was not a positive conversation in the slightest. I mean, I remember growing up with a lot of angst around money. My dad never gave my mother enough money. That was the kind of dialogue that was in the family. My mum never had quite enough money for groceries and she didn’t have enough money to buy the kids clothes. So it was always this tension about money and the kind of rhetoric in the family was my dad was stingy and couldn’t understand the cost of living, and da da da. Maya: 13:55 One day you wake up. My mom hadn’t worked in seventeen years and you wake up one day and the world that you thought you lived in is not the world you lived in at all. I mean, we lost our home, we lost everything. We were selling furniture to pay for groceries. And I look and I think, “Gosh, you know, I have huge admiration for her.” I mean today she’s financially secure. And that’s another whole podcast on how she achieved that but the fact is, that was the lesson I learned. You know, I always think when I look at what I do now, I think well, actually it was born when I was sixteen years old. And waking up and realizing and hold on a second, looking after money is not somebody else’s job. You can’t leave this to your spouse or to somebody else and just hope for the best. This is something especially as women and especially if you’re going to take time out to raise children that you have to be dealing with. So, certainly I have a lot of lessons I learned you know, growing up and that I brought really into – I think that is what makes me as passionate and that’s why as I said, the husband and wives usually leave the dinner party not talking to each other by the time I’m finished. Because women start asking their husbands questions that they weren’t asking before hand. And men don’t like being questioned about money especially if their money isn’t in order. Which often it isn’t. And I think, Lisa that’s a very important point and I know this podcast is really aimed at women so I want to share that you know, just because he’s a man doesn’t mean that he understands money any better than you do and I think part of why we grew up in this world that it was this belief that men manage money better was that traditionally, women would stay at home and raise the children. The man would go to work and the actual company would manage the money. So, he would get a pension when he retired, a medical aide was usually covered. So all the financial aspects of their life was actually covered not by the husband but by the company that he worked for. And as you well know that that has all changed. We’ve moved to something called fund contribution so pensions are no longer guaranteed. You know, medical cover is not always part of the package. And suddenly, men have to actually start managing the money themselves. And they were no better at it. And in fact, often very ill-equipped for it which is why we’ve seen so many families coming to a time with not sufficient money. So you know, this idea that because the man is working he understands money better than you do is an absolutely erroneous. If anybody understands money it’s actually the person who is paying the bills in therapy which is the groceries and you know, buying the kids school clothes and all the rest actually understands what it costs to live. So, it’s extremely important that women get involved in the finances especially if they’re not working and bringing in income. Lisa Linfield: 16:21 Well, you’ve been married for over twenty years. Which in this day and age is quite an achievement. So, as someone who’s further along the road than I am, when you live in a world where one of the major causes of divorce is you know, somewhere rooted in money because often money is an expression of the state of the relationship. How have you managed to stay married for twenty years in terms of how you and your husband manage your money? How do you manage your everyday money? Maya: 16:53 Yeah I mean I think, just to mention that when I got married, the lawyer said we had a thirty percent chance of our marriage working. But funny enough, you know, he looked at it from a financial perspective and what are your earning potentials and how young we were. We were so young when we got married. And money is such a big issue and I think for us we fortunately have a lot of common goals. We enjoy similar life style. But we went through quite a big financial challenge when my second son was born and I think if I look back, the way we handled that and the way we’ve managed money since then has been really really crucial. So what actually happened was, my second son had just been born and as I mentioned I was working for this newspaper This Day. And my husband was working for a company and that same year of course we did the classic mistake usually everyone does we had a second child and felt we needed a bigger house. I don’t know why. Cause the house we had before was quite suitable. But we decided we now need a bigger house. So we bought this bigger house, bigger bond and in the same year the newspaper I was working for went under and the company my husband was working for was sold and he was retrenched. So we both lost our jobs, we just had a new baby, and we bought a big house with a big mortgage. I mean this knocked us financially but we kind of got a little bit onto our feet in the sense that my husband got a job quite soon afterwards and I went freelance. Now, freelance journalism takes a long time to build up to make the same kind of money you were earning on a salary. And my husband’s job was a lower salary but higher bonus potential. So we kind of muddled along. And then in between all of this all the medical bills we had to pay, I had to ask them if we could pay it off and [inaudible 00:18:25] they were all very very kind and they agreed to it. So we made – I thought we made some adjustments but I continued to use the bank card and buy groceries and live the lifestyle but we didn’t really adjust our lifestyle that much. And about nine months later my husband gets his first bonus and I said, “Oh,fantastic! Because we really need some curtains and we need some of this” and he said to me, “no, no, no this is going to the overdraft.” And I said to him, “what overdraft?” I mean talking now about a woman who should’ve known about money. I said “what overdraft are you talking about?” He said, “well, we’re sitting in overdraft. What do you think we’ve been living on for the last nine months?” And I woke up and I thought, hold on a second Maya, you know, this is the lesson that you were supposed to have learned when you were sixteen. Maya: 19:06 You’ve got to wake up right now and immediately, I said right, this is not gonna carry on. I’m not gonna be another statistic. And you know, the problem with overdraft facilities and I just want to say I don’t believe in them at all. I think you shut down your overdraft facility every single person out there, go today and close it because you never know when you are swiping your card whether you’re spending your money or the bank’s money. And at the end of the month, your paycheck goes in and all it’s doing is setting the overdraft first. You’re always you know, one step behind. But anyway, that’s exactly what was happening. We were spending money that wasn’t ours and I actually did not know that because the card kept going through. So I immediately sat down and drew up a budget. We worked on how much it cost us to live every month. I think I needed like a bottle of wine to recover from that. Maya: 19:49 And we went on a very very strict budget for six months. It took us six months to get out of that hole. Mazan’s bonus had come in but we still were in overdraft so it took us another six months really of living you know, very strictly and I mean when I talk about what I actually did is I took envelopes and it said groceries and then there was one that said pitroll and all the rest of it and I put money – I drew money at the beginning of every week and I put it into those envelopes. I moved away from credit cards and debit cards and I worked only in cash. And literally, if we didn’t have enough money for groceries, we were eating baked beans. And that is really how we lived for six months. And that discipline has set us in such good state going forward. I can’t begin to tell you that, that having a budget and every month we would sit down and we would look at that budget and I can tell you, for those six months it was tough because it was never enough money. Never enough money to cover our bills so we had to keep cutting back and cutting back and cutting back. But we’ve maintained that discipline. So now we don’t do it every month but every three months or so we do sit down and we re-visit the budget and just make sure that we’re actually living within our means. Maya: 21:25 You know, it’s unacceptable that we think that this about making more money. It has to be about how much we’re spending every month and getting that under control. And that experience was very very important but you know, Lisa, I have had my moments when I took time off. Having my first son, I stopped working for a year or two and I realized that’s why I work again because I realize I like to have my own money. But you know, there were moments where there was tension and the tension wasn’t necessarily because my husband isn’t a generous person, it was because I felt guilty all the time. I felt guilty to have facial or to do something nice for myself because it wasn’t my money I was earning. So I think I learned a lot of lessons through that as well. And just about talking about money and how I emotionally feel about money so I think in a relationship, a lot of it is about understanding your own reaction to money and also your partner’s reaction to money. I get a lot of emails from people saying you know, “my wife this” or “my husband that” and I say, “you know what before you talk about the money, talk about growing up and what money was like for you growing up and how did your family handle money because that will be a better understanding of inside into your partner’s current [inaudible 00:22:31] than just looking at it as it is today. So I think that those sort of things are very important. How you handle a crisis, understanding what the lessons were you grew up with and the messaging that you got growing up and allowing those conversations and being honest to each other. You know, it goes back to our first point you know? Learn to have honest conversations. Lisa Linfield: 22:49 So, partnering on the everyday finances is absolutely cornerstone. It’s really the basic communication that you need to have with your partner and does your husband manage the investments or do you? Maya: 23:04 Because of what I do for a living and my background I’m more naturally geared to do the investments so – but we talk about it. So, I’ll say I’m doing it for this reason and he just always agrees with me but yeah I run all the investments in the house and I think you know, this was a very interesting conversation I once had. Again, this is another dinner party where I upset everybody. Maya: 23:22 But there was a woman sitting there with her husband and her husband was self-employed. 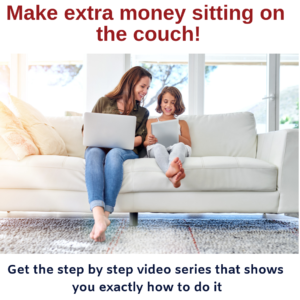 He had a successful business but he was self-employed and she was – cause they would both – she was saying, “Oh, you know what he’s so wonderful because we have [inaudible 00:23:34] but I manage all the money. So I pay the day to day bills, the groceries, the everything. I run all of the household finances.” So I said to her, “no you don’t. Where’s the real money?” So she said, “what do you mean the real money?” I said, ” the real money is do you have a retirement fund? Does your husband have a retirement fund? What is the value of the business? What happens if he dies? What does his will state? He’s self-employed what if the business goes under?” And I started asking these questions and her eyes got bigger and bigger and she turned to her husband she goes, “What is all this about?” And I said, “You’re not getting involved in the real money, You’re thinking that the day to day budgeting is the real money.” I mean yes that’s important to living a certain lifestyle and managing your money is very important but he knows where all the big investments are. He knows you know, what his retirement fund – if he has one – who doesn’t have one? If he’s investing money somewhere and she didn’t even know about that. She knew about nothing outside of their day to day finances but she thought she was in control of the finances. So I think that’s very important I think both of you understanding where your investments are, how they’re managed, whether you have sufficient, doing retirement planning together. Do you have a roll? What happens if both of us die? These are conversations you know, life cover. You don’t sit out of that because you think that running the day to day money is running money it’s not. Lisa Linfield: 24:52 Absolutely. And in my wealth management business one of the reasons that I find that people often don’t sign a will even if they have a will is because they can’t have the conversation and they can’t agree on if both us die at the same time, what happens with the children? Lisa Linfield: 25:08 And so they just don’t sign the will because that’s the clause that really they can’t get to a common agreement about. The challenge is in the mean time if they die, then there in a worser position, the children are in a worser position than the taking on that difficult conversation. Maya: 25:25 Lisa, I’m going to interview you now. How do you get around to the conversation then? Lisa Linfield: 25:29 So, it’s usually between two people and one is on one side and one is on the other. So it’s usually, I want my children to go to my family and he wants the children to go to his family. And so they’re usually two contestants in the competition as to who it is. And there is no logic that can intervene in this conversation. There’s often a lot of history, a lot of emotion and a lot of real unspoken issues so you can’t deal with it on a logical basis because there is a lot that is unspoken and a lot that is marital history. And so at the end of the day I say flip a coin, for now. So let’s sign this agreement both of you let’s decide on one person and then over the next month, year however long it takes you to resolve this conversation, go and sit down and properly have the discussion. Work through this so you can come to a consensus agreement. But having said that don’t live a will unsigned because you can’t agree on that point. Then however you phrase it, it will go to my sister, Mary, failing her if she pre-deceases me then it comes to my husbands bother, Jim. Lisa Linfield: 26:39 There is no logical way as a third party to intervene on this and you’re never going to come to a resolution but you then also explain to them the issue of not having a will. If you do not have a will then it’s up to people who are beyond your control to decide where your children go and that’s not something you want. If you have two people in mind, let it be one of those two people that the children go to but let’s rather get the will signed now so that your wishes are taken care of. And also one of the other challenges often is it’s with young children because they’re minors, they need a guardian. If the will is not signed and they die into estate then the money goes to the government fund so that consequence is enough to scare them that the government’s going to be managing their money and limiting access to it. And the government will decide where your kids go to. You know, that’s usually enough to scare them into taking a kind of heads or tails approach to the two people but at least they know that it’s narrowed down to that and that the rest is taken care of. Maya: 27:36 And they can always come back and change it once they’ve had a rational conversation. Lisa Linfield: 27:39 Exactly! I keep telling them that. Tomorrow! So sign it now and if you want to change it tomorrow we go copy and paste, delete whoever it is and then we come in and sign the same – it’s a couple of pieces of paper then sign the document. If you resolve it as you walk out the door, come back and we’ll do it again. It’s just have something in writing rather than nothing and don’t sign it because you don’t want it. So speaking of children, you have two of them. How do you teach them about money? Maya: 28:23 And trying to get them to be fit and proper when they come at all to it. But right now, my eldest son is seventeen and he started a part time job. And well he’s actually studying online so he’s working quite long hours. So he’s earning a bit of money now. So this has been the first real experiment of how does he manage his money in reality? Because up til now it’s been pocket money and all the other things and it’s been so interesting. We got him to open up a proper student account with the money app and all of that and what I found was that how difficult he’s found it to manage the balance. So, immediately of course he had to put the money into savings so he was forced to do that by his mother. And he was quite good at it he accepted that it had to go into savings. So it doesn’t work so he doesn’t click. He swipes it again three times in one event. So those fees have now put him effectively into overdraft. This is his first month of managing money. Then I was able to sit down and re-educate him and we went through and I said look how easy it is for you to check your balance. You’ve got the money app. Just click on it. You can see your balance you know, you can see if you run out of money. And then we set into the proper budget again because I’d already explained it to him before we went again. How much should you be spending every day? Because at work he was buying himself food and spending more money I think on food than he was earning so we had to go through that again. And you know what he said to me? He said mom, it’d just be better for me if I have cash. So he drew cash to spend and then he said cause he could see then in his wallet how much he actually had. So then we went through the cash phase and he was able to feel like he could manage the money better that way. Then once he got comfortable with that he was able to go back to monitoring on the card and checking his balance and so the reason I’m explaining this is it’s really important, I believe, to get your kids financially stood whilst they’re still living with you. Give them that opportunity to make those mistakes because if you’re not going to give it to them in this environment where you can protect them and show them and guide them you know, all hell’s gonna break loose. If his first experiment with money had have been with a proper job, with a credit card. Just by the way, the bank gives a student account a 500 overdraft automatically. So the bank’s are there. They’re ready to pounce on your poor little baby as soon as they get [inaudible 00:30:54] and they’ll give credit cards, they will give overdraft facilities and you can go an open store accounts. So, if that’s their first experiment can you imagine how much trouble they could get into within the first six months. So I really believe this has been such an interesting journey and to watch my son’s progression and how he’s made the mistakes then decided cash would be better. Now that he’s more comfortable with it, moving back to card, watching his balance, it’s been very interesting so I really strongly advocate that we as parents get involved and guide them and help them through this process. But you know, Lisa, it does of course assume that you as a parent do this yourself. And I think that is often where it falls over because unless you as parents actually manage your money properly, it’s probably unlikely that you’re going to guide your children to do well. Lisa Linfield: 31:40 And your child grew up in an environment where money is a part of a conversation by nature of your job. Maya: 31:46 Yes, very much so. So he – I mean he’s aware of money and that but one of the conversations that I had with my children is my eldest is not really a spender though he’ll by food. He’s not a gadget person or brand person. My second one, oh lord, you have no idea. He is into every gadget and I’m terrified and I’m trying to make sure that by the time he gets a credit card I’ve instilled some discipline into him. Maya: 32:46 And that’s conversation that you know, I’ve learned to have with my kids that I’ve desensitized it and made it just part of the eb and flow of conversation. But one of the ones I really realized was a wake up call for me as well, was one day we were sitting at dinner and I was – lamenting you know, the security guards who walk around the streets you see and to protect the assets of these very wealthy people. Myself included and they’re earning what 5,000 ren a month and I’m saying those poor guys standing outside, you know, earning 500 ren a month patrolling these areas and my kids said, “5,000 ren’s so much money!” Cause of course they’re relating to their pocket money so what I realized is that our children also need to be brought into – at an appropriate age, into the real world of money. So what I did is I said to them right, let’s go grocery shopping. I want you to draw up a grocery list. What we would be needing, so we drew it up and then we went shopping. And I showed them that cost us. And that was kind of a wake up call so what does it actually cost to live? And then it was like how much does it cost mum to fill up the car with petrol? You know, what do we pay on our mortgages and things like that. So you know, it is important also for children to be kind of sensitized to the reality of what it costs to live. And be aware of the family budget and what is affordable and not affordable and what expenses we have. So I think these conversations are an important part of – and they come up. It’s not about – I’ve never sat my children down and said right, now we’re gonna talk about money. It just comes up because of the conversations like, “Oh, mum everyone at school’s got a Mac, and Apple Mac. Can’t I get one?” And then it becomes a conversation around the dinner table. Lisa Linfield: 34:18 I think it’s a huge important conversation because it is only when kids have some form of consciousness in them about it can they draw on it. 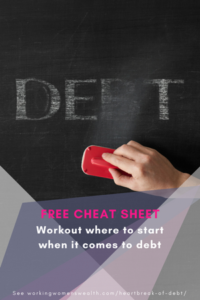 I really believe that it is part of that life is that first month where I think almost everybody does go into debt. I remember my very first month of living by myself, earning my own paycheck, all of that kind of stuff and getting to the end of the month and I had no money left. And it was in the days before the banks used to throw overdrafts at you and having to go through the humiliation of going back to my home and saying you know, I need some toothpaste please. And after that I vowed I would never ever ever be in that situation and then I never was in that situation again. But it is just part of it cause you think you’ve got it but in the first month when you actually don’t, you’ve got to practice with it. You’ve gotta allow your kids to actually do it because theory is one thing but goodness, practice is a completely different thing. And somehow it’s important to have this information somewhere in us where we can draw on but it’s also important to let them go out and do it. As you said, and preferably when they’re still in the comfort of your home to learn that lesson. Do you think that this is not based on information or it’s not based on a survey but it appears to me that children are staying longer and parents are allowing almost not forcing kids to stand on their feet earlier. Do you think that that is the case and are we as parents doing a disservice to our children in the strive to make sure to give the base to our kids of everything that they can have? Maya: 35:54 I think there’s two answers to that and my first one is that I think parents are wealthier now than they were certainly when I was growing up and that’s the dual income effect. So, I couldn’t stay at home there was no money. My mother couldn’t give me it you know, there wasn’t like I could. It wasn’t an option. I started working at sixteen to get my own pocket money and all of those things and today I think that – now when I say they’re wealthier maybe they’re wealthier because of more access to credit, I don’t know but the point is that there is generally the dual income families. A lot of kid’s parents are giving them a lot more than perhaps the previous generations have had. So, I think there’s definitely that wealth effect of why it’s happening. I think also what families are starting to see and you know, I’ve had this debate with a lot of people. I’m quite hard on my kids because I really believe it’s in their best interest to stand on their own two feet as quickly as possible. But then I’ll be speaking to someone who said you know what, it’s so expensive to live now a days. The cost of living has gone up. So what they’re doing is they’re looking almost like they’re going back to the families living together concept. Where expenses are shared. So their kids are staying on but then they are contributing to the household. And it’s helping everybody. So instead of them going off and paying quite a high rental somewhere, they’re able to stay at home but then they’re paying rent to their parents. And that’s obviously alleviating a lot of expenses in the shared expenses. And they even share cars or use Ubers if the cars are all taken. So I think it’s more about an attitude. It’s about if your kids are gonna stay at home beyond perhaps the age you stayed at home, are you taking away the important life lessons from them? Or are you help – making it part of the life lesson process. I heard a wonderful story about a dad. The daughter stayed on when she started working for the first three years or so she stayed at home instead of going on her own. And she even paid rent to her parents and then when she left, got her own accommodation, her father handed her a retirement policy that he’d been putting the money into and he kicked started her [inaudible 00:37:45] for her with that rental. But she had learned the discipline of putting money away, that these things are not free and she’d have to learn to budget and all of that. So I think the fact that your kids stay at home longer is not necessarily a bad thing but it should be an opportunity for them also to manage money as well. So I think it is about how we handle the situation. Lisa Linfield: 38:04 So if you were talking to a university student or about to get your first job. These kids, what would your one thing be that you would tell them? Your one piece of advice? Maya: 38:16 I think my one piece of advice is that money is very powerful. Money has the power to grow your wealth or to destroy your wealth and so you have to have respect for it and I think if people started to respect money more and the power of money, both positive and negative, from a younger age – I always compare this to you know, me going to this water crisis in Cape Town and you know, we’ve learned, you don’t run a tap when you’re cleaning your teeth and I think that’s the same thing with money. To have respect for it. This is something you’ve worked hard for. This is something that has value and make sure that you’re getting a value out of it. You just understand the power of money for both good and bad. Lisa Linfield: 38:52 And from a work perspective you are trying to kind of create this conversation in the environment. You are championing the courses of people with their money, does it ever frustrate you, is there enough being done to create the conversation to educate people? You know, we look at this new generation of middle class that’s rising up in South Africa now and my interactions with many of them is they haven’t had the opportunity to be taught about money or to learn about it all. See how to handle it because they’re parents were poor. Do you think there is a big enough consumer education of all of these rising affluent people? Maya: 39:34 No (laughs) So I think the problem is that you know, unfortunately the education is based on the point of content so I guess you could talk about educating at school but let’s be honest I mean you know, you just have to remember back to your school days in geography, or history or whatever you even remember from that so yes, I think talking to kids about money at school is important but really where it has a big impact is at the point of experience. So I talk about my son, it’s only going to make sense to him when he’s actually using the money. Maya: 40:27 That’s not the first conversation they’re gong to have with you so I think unfortunately a lot of these conversations are left to the financial industry which isn’t necessarily- in particular the bank, you know their lending, the credit providers, and the banks cause it’s all about credit providers. That’s almost the first point of contact. They’re not walking in and saying I’d like to save money or I’d like to retire. So I think that that is one of my big issues is that the whole world is really constructed towards consumerism. I just think if I wanted to go on diet and lose weight, I’d take all the biscuits and chocolates out my house but you, entering into the financial industry or earning money for the first time, it’s the opposite effect. There are so many people tending you that you can have everything. Just take out this card and you can have everything. So, I think that that conversation is not happening. I think people are getting into the wrong conversations too early on. And then when you have the investment industry, which is often driven by perhaps your financial advisors and that, is unfortunately there’s very much of the section that again, there’s a lot of self interest there that “Oh I’m being sold this policy not because it’s good for me but because it’s good for you”. So I think there’s a lot that needs to be done in that point of contact and how we’re dealing with people when they start engaging with financial parts for the first time. And I don’t know, Lisa, how to change that because it is so incentive driven and I think that’s the big challenge. I mean obviously someone like myself, I write about it, I write in newspapers, I engage with my readers, but they usually only come to me when they’re really in trouble because people don’t want to know stuff until they have to know it. I suppose that’s part of the challenge as well. Lisa Linfield: 41:53 I have a similar almost drive with HR people because many times people are getting their pension advice from the HR person who’s on-boarding them into a company. And it’s not that that person might not have lots of lots of knowledge but it’s that I have a deep passion to teach HR people about the impact of the decisions you know? Choosing your pensionable salary at a hundred percent, eighty percent, or seventy percent, where most people choose it at seventy percent so they can get more money to spend. As opposed to that advice that says choose it at a hundred percent because the more you save now when you’re young the better it’s gonna be you know. So as you say, that point of contact for many people in their financial decisions about their retirement, is in fact the person who might not have the right understanding of saving and how important it is to save for your future. Maya: 42:47 So I just want to say quickly on that first point of contact in the company one of the best things that we can do as advocates, you and I, and anybody else out there, and I do some of this work as well, is getting into – there is a corporate that I go do some work for that before they get their first paycheck, I do a three hour session for them. And you know what’s fantastic is I get to these young people before they’ve got into debt. And then suddenly, you know, there’s a whole lot of stuff that they’re hearing from me that they would not hear normally from the financial industry and I think that is a huge opportunity because as I always say, maybe I have a hundred kids in the room, maybe only half will listen but at least that’s half who you know, who perhaps will be better off so I think certainly going into HR, going into companies and getting there before they get their first paycheck, understanding this world of finance is massive. Lisa Linfield: 43:31 So besides banks giving loans to people when they should be giving savings product, what else as a consumer advocate really challenges you? Maya: 43:41 Ugh, yeah I think my biggest nightmare is actually the credit industry. You know, I was in a bank the other day and it was dream holiday, come borrow money from us for your dream holiday. And I just thought, I don’t know I just give up. This idea that we’ve moved completely away from the idea that we save for things. That whole concept of saving for your dreams, saving for you know, something you want in six months time has just gone completely away. So I think that’s one of my – probably my biggest because I look at – when anybody tells me they don’t have money to save or invest, you should be [inaudible 00:44:13] about forty percent of their salary is going to debt repayments. And that to me is a direct, complete and utter you know, it’s dissemating our savings industry. It’s a transfer of wealth basically from the household to the credit industry. These debt repayments so that’s probably my biggest nightmare at the moment. And they look at me with wides eyes and I’m like, that’s what you’re doing. You’re paying for those bankers. Lisa Linfield: 45:00 Well they definitely have wider margins on that so, when you see these wonderful things of people spending time on the beach, you’re paying for them rather than you. And then I say to them, don’t you want to go on a beach holiday? And they say, yes definitely. You know? Maya: 45:12 People tend to look at what they repay every month. Oh, it’s only 400 grand a month. They don’t add all those repayments together to understand what that real cost is. Imagine if all the debt repayments on short term debt was suddenly overnight, reversed into savings. (laughs) Can you imagine? It would change the world. Lisa Linfield: 45:30 It would change the world. It would definitely. So, you authored a book to help people with their money. In a world where there are quite a few books on money, what makes your book different? Maya: 45:43 So my book was really based on the kinds of questions that I receive from readers. So I looked at the last ten years that I had engaged actively with readers and I saw what was the most common questions that came up. And that’s what the book is. So the book really is about answering the questions that people are looking for for answers to. It’s also a very honest book. I’m not paid by anybody, there’s no marketing, there’s no anything behind it. You know, so I felt that I could give sort of honest reflections on answers to those questions. And the other thing is I also wrote the book so that you don’t have to start reading it from page one and to page 350. You can dip in and out. It’s almost a reference book because I also find – I don’t know about you but I often start books and I only get about three chapters in my book. So I thought, I don’t want that happening. I don’t want people to feel they have to read it in order. They could have a question. It’s like what is the best medical scheme for me? Or what I need to have in my will. Or what is it really gonna cost me to buy a car? Whatever is affecting you and it’s that point of contact again, I’m about to do something financially and I need to have some answers to that and that’s exactly what the book was about. Lisa Linfield: 46:47 So, where would people be able to get hold of your book? Cause that sounds like a really practical guide. Maya: 46:53 So the book is available – well I think some bookstores still hold it but it was published two years ago so I think the best place really is Amazon or Take a lot locally. Those are two of the online providers. And I think it is available as well as on a Kindle version. Lisa Linfield: 47:06 That’s fantastic! And Maya, you’ve got so many fantastic views to share with people and so much that people can learn from you to educate themselves. How would our listeners go and find out more in terms of the articles you write and the courses you do and the speaking that you do and obviously your book. Where would they go and find that information? Maya: 47:26 The best place really is my webiste which is, mayaonmoney.co.zd and there’s also a contact there so if you need to drop me an email or whatever, you’re more than welcome to do so. And I’ve got my Twitter handle which is @mayaonmoney as well. Lisa Linfield: 47:42 That’s fantastic. Thank you so much for the time that you’ve taken to share such a deep set of experiences that have so much value to all of us really. I appreciate your time. Maya: 47:52 Thank you, Lisa. Lisa Linfield: 47:53 That was Maya Fisher French. She’s a woman I admire hugely because she’s doing such great work in such a human, meaningful and tangible way to educate so many people about money. Please go and visit her website or get her book and just really take the time to educate yourselves and make sure that you’re in a fantastic position with all elements and aspects of your money. I’m Lisa Linfield and this is Working Women’s Wealth. Take care and have a great week.